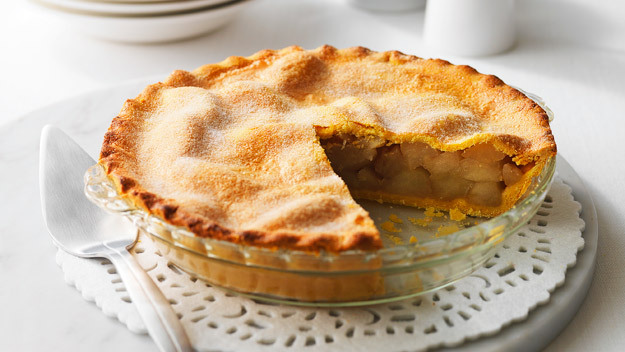 The apple pie is more traditional in the U.S., with huge variations in revenues the end result is always a pie knows a rainy afternoon or after a nice dinner with friends. The apple pie can be served plain, with cinnamon, with cream or ice cream, is a guaranteed hit at any party. Bring to the boil and cook until verifying that the apples fall apart, remove from the heat and pass in a blender or wand. Take the remaining apples, peel and cut into thin wedges and more or less the same size, cover the dough with these apples. Sprinkle with sugar and cinnamon to taste.